Gareth Farr (b.1968) began his studies in composition and percussion performance at the University of Auckland. The experience of hearing a visiting gamelan orchestra prompted his return to Wellington to attend Victoria University, where the characteristic rhythms and textures of the Indonesian gamelan rapidly became hallmarks of his own composition. Farr continued with postgraduate study in composition and percussion at the Eastman School of Music in Rochester, New York, where his teachers included Samuel Adler and Christopher Rouse. In 1993, at the age of 25, Farr was appointed composer-in-residence by Chamber Music New Zealand, the youngest-ever composer to hold that position. This resulted in the composition of three substantial works, Owhiro (String Quartet No.1), Kebyar Moncar for gamelan, and the chamber sextet Cadenza. At the conclusion of the residence, Farr returned to the Eastman School to begin a doctorate in composition. As well as composing Kembang Suling for flute and marimba (his most popular work to date) and three works for orchestra during his time, Farr also introduced audiences to his on-stage alter ego, the percussion-playing drag queen Lilith Lacroix. The inclusion of his works in four events at the 1996 New Zealand International Festival of the Arts – the ballet score for Douglas Wright’s Buried Venus, Lilith’s Dream of Ecstasy for orchestra, Kembang Suling, and the Bach-in-Bali piano solo Sepuluh Jari kick-started his career as a dedicated freelance composer. Since then, his music has been heard at, or especially commissioned for high-profile events including the 50th anniversary of the New Zealand Symphony Orchestra (the 25-minute From the Depths Sound the Great Sea Gongs), the opening of the Museum of New Zealand Te Papa Tongarewa (Te Papa, for orchestra with soprano, tenor and kaikaranga (indigenous New Zealand Maori chant), a work hailed as ‘music with a powerful and moving impact that transcends idiom and individual taste’), and the 2000 Olympic Games in Sydney (Hikoi, a concerto for percussionist Evelyn Glennie and the NZSO). A commission by the 2003 Auckland Festival resulted in the massive Stone and Ice, composed for the combined forces of the New Zealand Symphony Orchestra and the Auckland Philharmonia Orchestra. Gareth Farr’s music is particularly influenced by his extensive study of percussion, both Western and non-Western. Rhythmic elements of his compositions can be seen to derive from the complex and exciting rhythms of Rarotongan log drum ensembles, Balinese gamelan and other percussion music of the Pacific Rim. Naturally, percussion has always been a central focus of Farr’s music, and in 2003-04, he produced a number of works either specifically for or premiered by the STRIKE percussion ensemble, with which he has had a long and fruitful association. As well as the ferocious percussion quartet Pukul, there are two major works featuring concertante parts for percussion ensemble, Onslaught for brass band and percussion and the Concerto for Percussion and Orchestra. The latter work was the result of a commission from the Wellington City Council and the Wellington Sinfonia (now Orchestra Wellington) to compose a work in celebration of the centenary of the city’s Town Hall. In addition to his music for the concert chamber, Farr has written music for dance, theatre and television. In 2006, the Royal New Zealand Ballet toured the country with their brand new work The Wedding, featuring a score by Gareth Farr. He has had a fruitful career writing music for the stage, including Maui – One Man Against the Gods (2003), and five comedy musicals produced with librettist and director Paul Jenden. 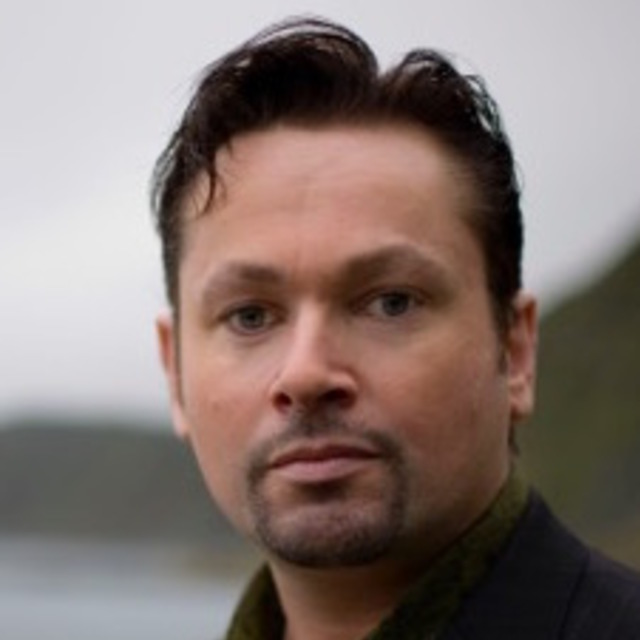 In 2007 Farr was appointed as Composer-In-Residence for the Auckland Philharmonia Orchestra culminating in 2008 with the premiere of Ex Stasis a symphonic song cycle for four soloists. In 2008 Farr also celebrated the world premiere of his work Terra Incognita, for bass baritone solo, choir and orchestra, performed by Paul Whelan and the New Zealand Symphony Orchestra. Gareth’s music was also played by the NZSO in Beijing as part of the 2008 Olympic Games, and in the opening ceremony of the 2011 Rugby World Cup. His work for strings and mezzo soprano, Relict Furies was performed at the 2014 Edinburgh International Festival with soloist mezzo-soprano Sarah Connolly and the Scottish Ensemble. Concerto for Piano and Orchestra was performed in 2015 by the BBC Philharmonic Orchestra and, most recently, his Cello Concerto was premiered in 2017 by the NZSO and subsequently in France by the Orchestre National de Lorraine. In 2006 Gareth was made an Officer of the New Zealand Order of Merit, for his services to music and entertainment, in 2010 he was a recipient of the prestigious NZ Arts Laureate Award, and in 2014 he was awarded the Distinguished Alumni Award from The University of Auckland. String Quartet No. 4, "Owhiro"